Welcome REU Students Andy and Courtney! Andy Sanchez (hat and backpack) is joining us from the University of Connecticut and will be working on Project 2. Courtney Nelson (blue dress) is joining us from Occidental College and will be working on Project 1. We are developing and commissioning a single atom microscope for measuring rare nuclear reactions that are relevant for nuclear astrophysics. The recoil products will be captured within the noble gas solid and then optically detected using resonant laser excitation and single photon detectors. A single atom microscope designed for magnesium, when coupled with a recoil separator, would allow for measurements of neon-helium nuclear fusion reactions with at least a hundred fold improvement in sensitivity. These reactions play a key role in the production of neutrons that drives the slow neutron capture process (s-process) inside of massive stars, which is responsible for the creation of about half of the heavy elements between mass 60 and 90 including copper and silver. In addition to helping with the assembly of the prototype detector, Courtney will develop and implement a laser interferometric technique to measure the thickness (around 0.1 mm) of the neon thin films. Why is there very little antimatter in the observable universe? The answer to this question appears to be intimately linked to interactions between subatomic particles that violate time-reversal symmetry. 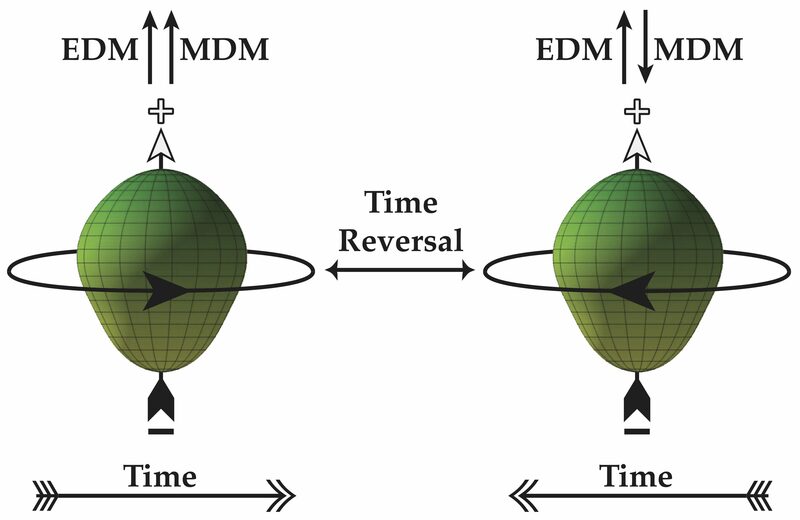 An electric dipole moment (EDM) is a vector quantity that measures the separation of charge within a localized charge distribution and is a direction indication of time-reversal symmetry violation. Our group is part of collaboration that is currently searching for the EDM of Radium-225 atom, which due to their unusual pear-shaped nuclei have an enhanced sensitivity to physics beyond the Standard Model. These experiments benefit from a very stable & uniform magnetic fields and very large & uniform electric fields. We are currently preparing high voltage electrodes used to generate the electric field. In addition to helping with this preparation, Andy will help refine an optical method to determine the gap between the electrodes, which, along with the applied high voltage difference, is needed to calculate the electric field between the electrodes.